COOLUM BEACH, AUSTRALIA -- (MARKET WIRE) -- May 14, 2007 -- Cigma Metals Corporation (PINKSHEETS: CGMX) (FRANKFURT: C9K) (XETRA: C9K) is very pleased to announce that all the infrastructure requirements for this season's exploration program are now in place and that drilling has commenced on the Central Berezki (Berezki) target area. Berezki is part of a large (6km x 2km) gold-copper-porphyry system consisting of three major prospects, Berezki, Quartzite Gorka and Karagandy-Ozek, which in turn include a number of other mineralization zones. The Berezki target is characterized by three mineralization zones with a total length of over 4 km and widths ranging from 1 to 2 km. 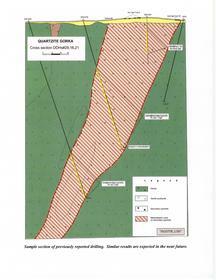 The zones are still open at depth and have been previously drill tested to depths over 350m. 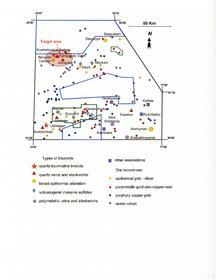 Significant mineralisation was recorded by previous diamond drill holes, and Cigma is targeting these areas to test the validity and depth extensions. The results will be utilised to convert the previous resource estimates into a western compliant format to satisfy the Australian Joint Ore reserves committee code for reporting of mineral resources and ore reserves (the J.O.R.C. code). 132m @ 0.5g/t Au and 0.2% Cu including 30.4m @ 1.67g/t Au and 1.16% Cu, 24m @ 0.56g/t and 0.51% Cu, 42m @ 0.3g/tAu and 1.1% Cu. The Company also has at its disposal a library of the entire core collected from previous workers dating back to 1995, which is kept in storage for future reference, near to the Company's field offices. The Company's infrastructure also includes fully staffed offices, with all the necessary computing and messaging requirements. The Company has also arranged for all samples to be prepared onsite and the 200gram pulverized and homogenized fraction then dispatched to a commercial laboratory approximately 250km from the project area. The Company attains to a strict code of QAQC (quality control) when handling and processing all samples. All samples will undergo Atomic-absorption (AA) spectroscopy (AAS) assays for gold and spectral emission for a further 24 elements. The samples with elevated metal values will then be processed by the internationally accredited Alex Stuart Laboratory in Kyrgyzstan. Cigma Metals Corporation is a mineral exploration company focusing on the exploration and development of its 3 exploration properties totaling 740 square kilometers in the Tomsk Oblast region of Siberia in Russia, and approximately 14,000 square kilometers in the Dostyk region of Kazakhstan. All the project areas were selected due to their proximity to a well-developed infrastructure, known mineral occurrences and from historical records of gold and base metals production. Cigma Metals Corporation's stock trades under the symbol "CGMX" on the Pink Sheets in the United States of America, and under the symbols "C9KA.F" on the Frankfurt Exchange in Germany. These forward-looking statements appear in a number of places in this press release and include, but are not limited to, statements about: our market opportunity; revenue generation; our strategies; competition; expected activities and expenditures as we pursue our business plan; the adequacy of our available cash resources; our ability to acquire properties on commercially viable terms; challenges to our title to our properties; operating or technical difficulties in connection with our exploration and development activities; currency fluctuations; fluctuating market prices for precious and base medals; the speculative nature of precious and base medals exploration and development activities; environmental risks and hazards; governmental regulations; and conduct of operations in politically and economically less developed areas of the world. Many of these contingencies and uncertainties can affect our actual results and could cause actual results to differ materially from those expressed or implied in any forward-looking statements made by, or on behalf of, us. Forward-looking statements are not guarantees of future performance. These cautionary statements qualify all of the forward-looking statements made in this press release. Specific reference is made to our most recent annual report on Form 10KSB and other filings made by us with the United States Securities and Exchange Commission for more detailed discussions of the contingencies and uncertainties enumerated above and the factors underlying the forward-looking statements. These reports and filings may be inspected and copied at the Public Reference Room maintained by the U.S. Securities & Exchange Commission at 100 F Street, N.E., Washington, D.C. 20549. You can obtain information about operation of the Public Reference Room by calling the U.S. Securities & Exchange Commission at 1-800-SEC-0330. The U.S. Securities & Exchange Commission also maintains an Internet site that contains reports, proxy and information statements, and other information regarding issuers that file electronically with the U.S. Securities & Exchange Commission at http://www.sec.gov. Sample section of previously reported drilling.<br> Similar results are expected in the near future.